‘Flexi Beast’ provides a range of flexibility classes in Edinburgh, UK aimed at aerial and pole dancers who want to increase their flexibility. ‘Flexi Beast’ promotes safe training and takes a lot of effort to educate small groups of people about safe stretching and conditioning. Classes include ‘Safe splits’, ‘Happy hips’ and ‘Healthy bendy backs’. 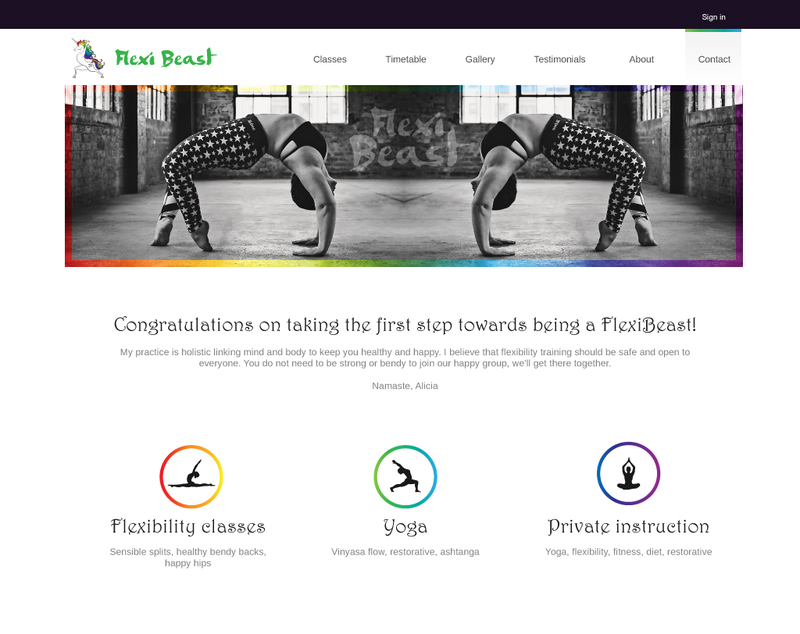 Create a distinctive brand identity for the FlexiBeast yoga classes that is sassy, strong and empowering. It should also reflect the founder’s alternative and rebellious personality. The brand identity is based on the logo which features a unicorn in a powerful and strong yoga pose called ‘Warrior I’. This pose improves focus, balance and energizes the entire body and perfectly represents the hard work at the classes. The wild rainbow mane and the Ohm tattoo represent the wild spirit of the brand and show that ‘Flexi Beast’ isn’t your traditional yoga class. Business card showing what you can achieve by signing up to Flexi Beast classes. Simple, clean and clutter free layout.